Voodoo MSP 3 Expandable Hydration Pack | BUDK.com - Knives & Swords At The Lowest Prices! 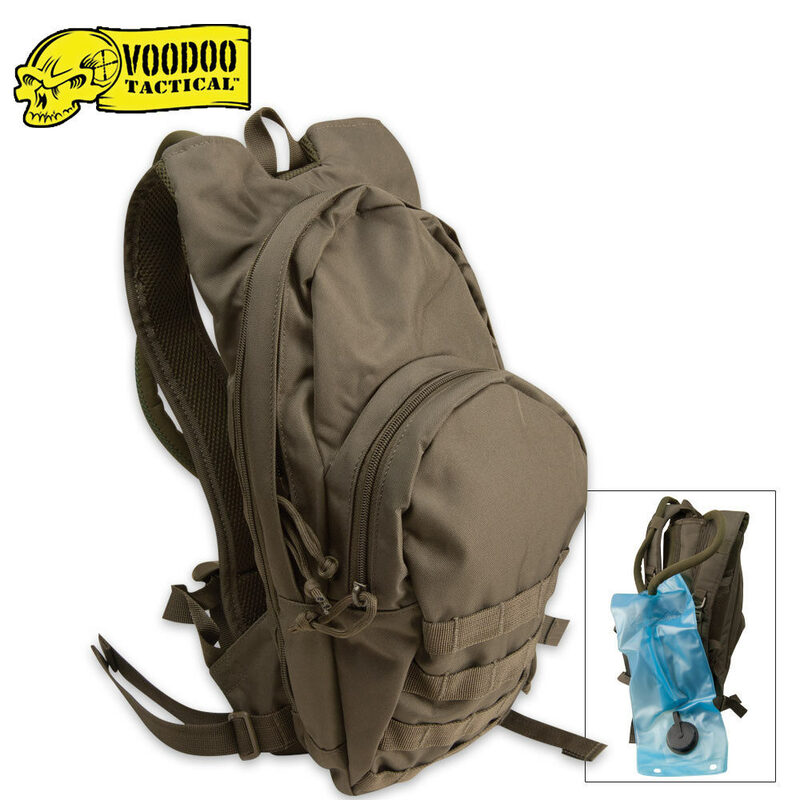 Stay hydrated with the Voodoo MSP 3 Expandable Hydration Pack, the professionally designed hydration system perfect for law enforcement, military, or the hiking trail. An expander zipper adds an extra 3" to the main compartment. Rugged nylon construction with heavy-duty self-repairing nylon zippers with pulls provides exceptional durability and functionality. Features large gear compartment, front pocket with mesh dividers and key hook inside, easy grab drag handle, straps for adding Universal or Alice clip pouches, right or left hose guides, easy access reservoir pocket, contoured adjustable shoulder harness and "keep cool" mesh backing. "D" ring attachment points and an adjustable waist belt complete this pack. Includes deluxe 2.5 liter bladder with color matched neoprene hose cover. Dimensions: 7"L x 4½"W x 17"H.